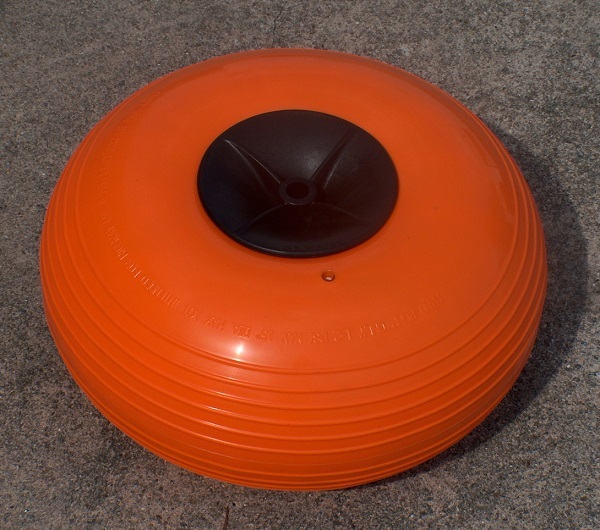 This Fish-N-Mate Senior Fishing Cart comes with two large orange Poly wheels that provide you great maneuverability on sandy beaches where it’s hard to transport loads smoothly and safely. 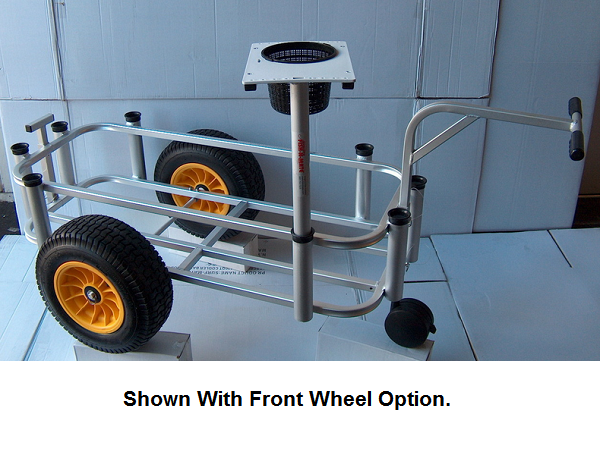 This fishing cart makes it easier to work of the trip across soft sands that standard and hard tires find difficult to achieve which makes dragging and pulling these new and improve carts painless and efficient. 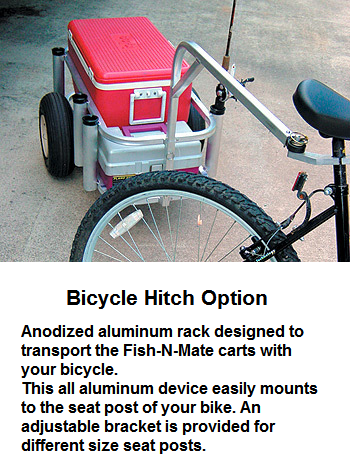 The Fish-N-Mate cart has aluminum tubing construction with corrosion resistance and quality craftsmanship and materials giving it remarkable strength and durability even on ragged material handling activities. 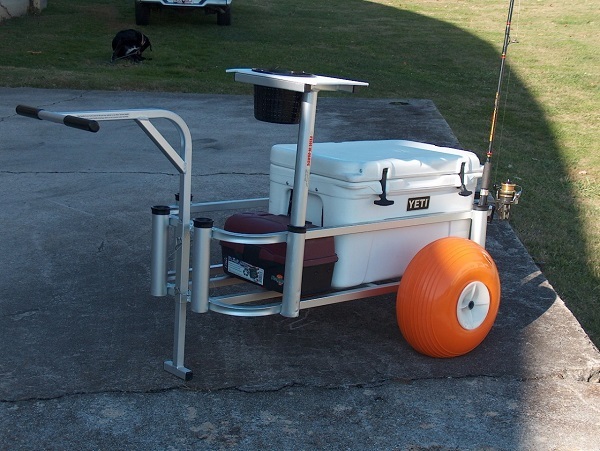 This makes it a great choice for any serious fisherman. 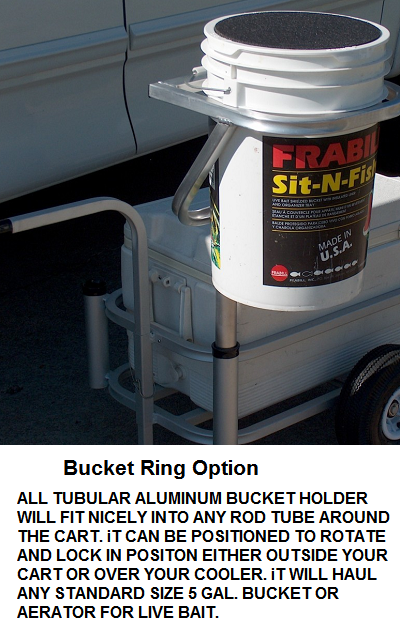 This Fish-N-Mate Senior Fishing Cart can carry up to 200 lbs worth of load and is capable of holding an outstanding amount of 72 quart cooler with ease. Not only that, it also includes eight rod holders and cutting boards which adds more convenience to your fishing experience. 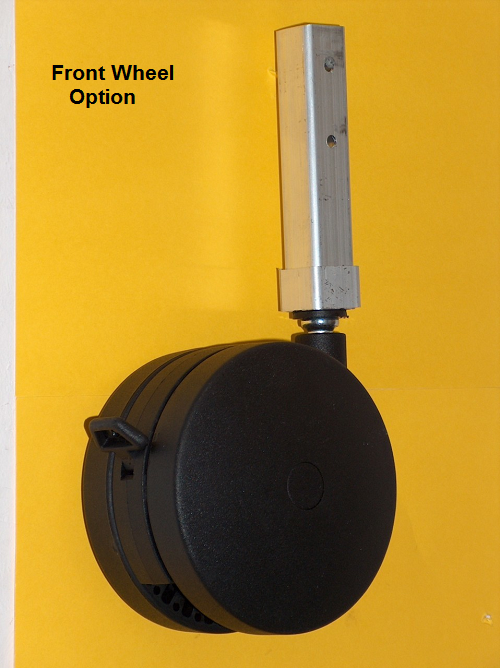 You can also use the rod holders as umbrella holders. 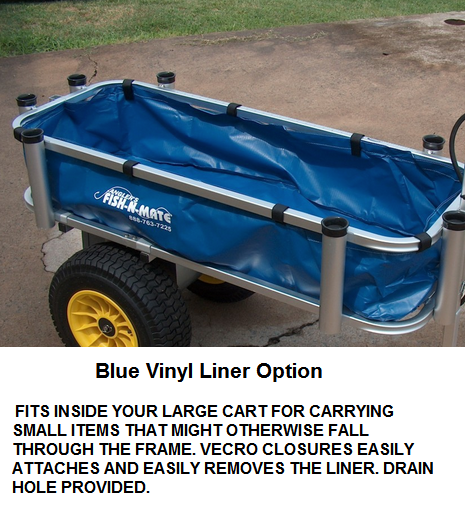 Available optional add-on include: Liner (Blue or White), Front Wheel, Bucket Ring, Cart Caddy, and Bicycle Hitch. Love our Glaro Bellman Cart. Feels ultra sturdy and looks real high class. 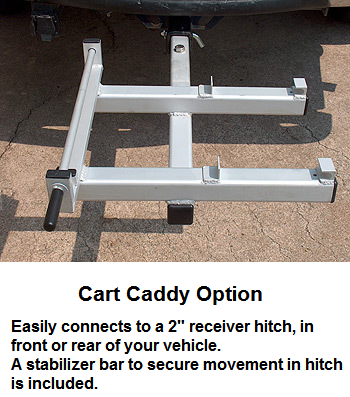 Delay in shipping but customer service was great at getting factory to push cart for sooner delivery date.